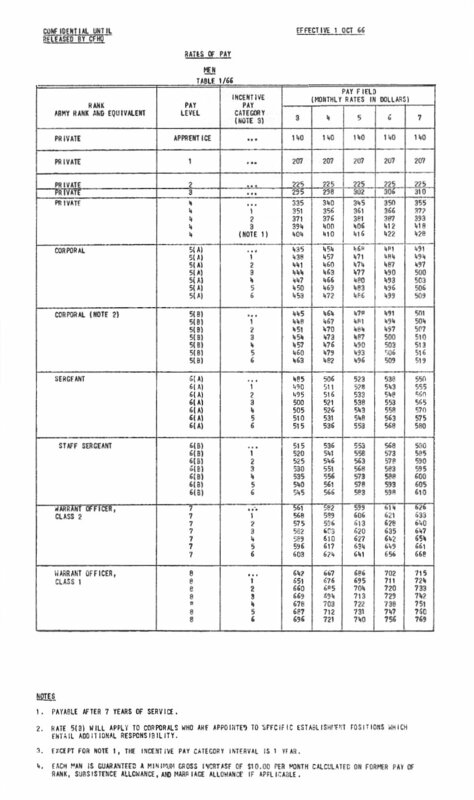 Enlisted Ranks Rates of Pay - 1975. 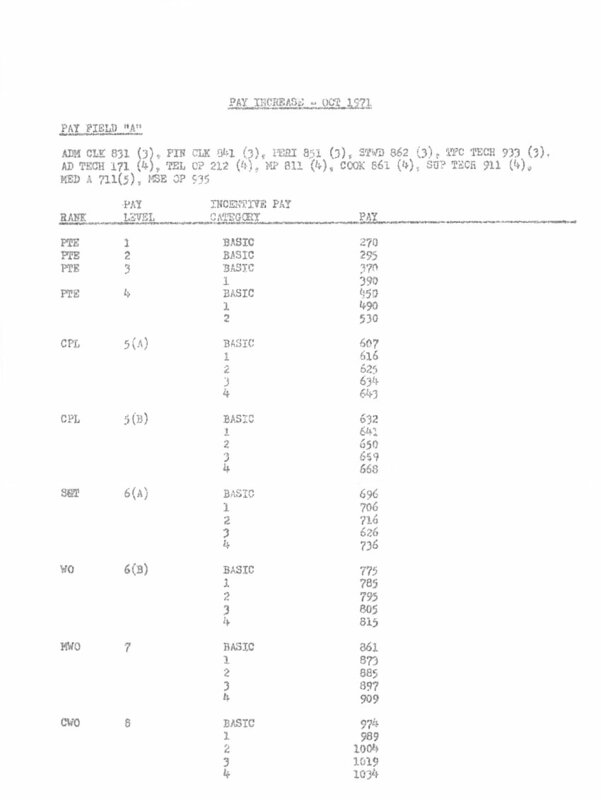 Enlisted Ranks Rates of Pay - 1974. 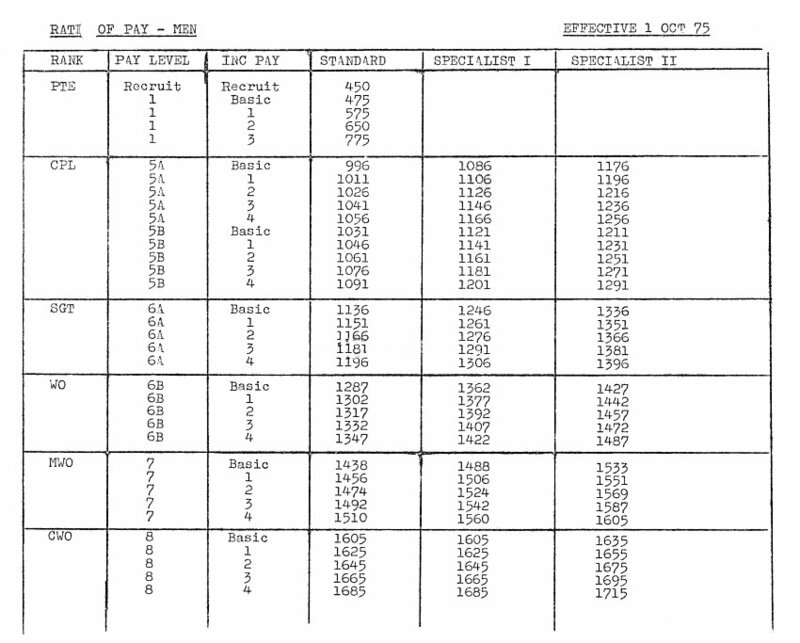 Enlisted Ranks Rates of Pay - 1973. 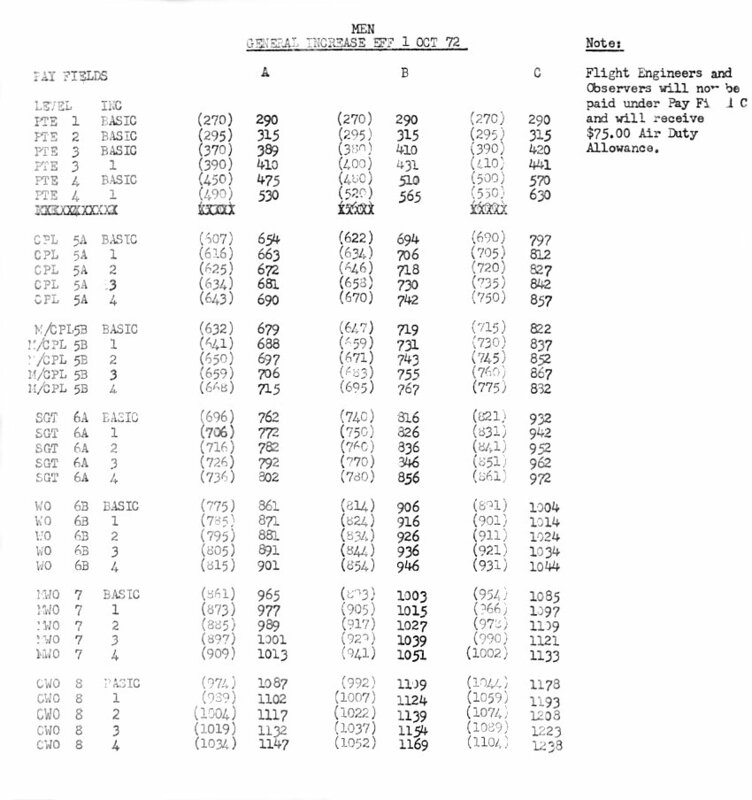 Enlisted Ranks Rates of Pay - 1972. 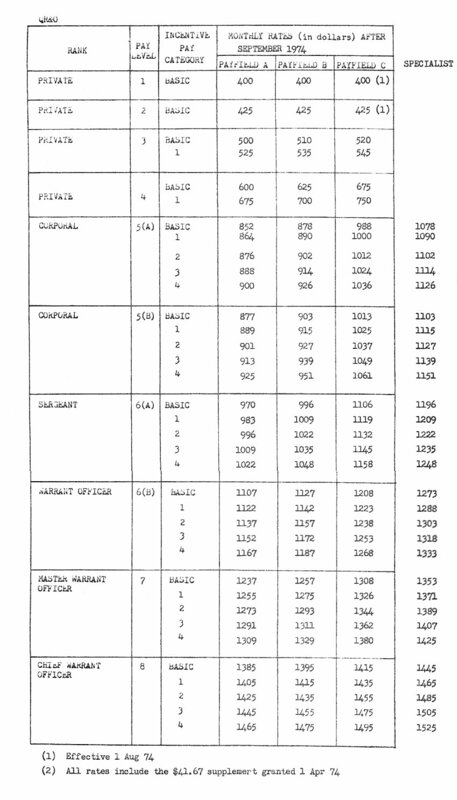 Enlisted Ranks Rates of Pay - 1971. 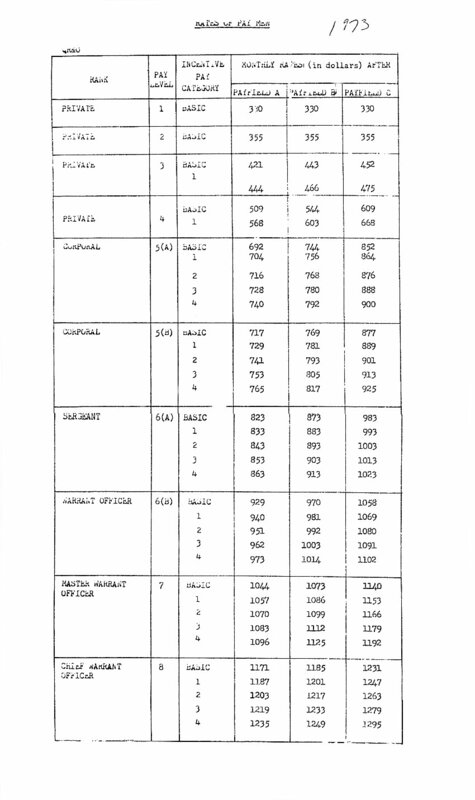 Enlisted Ranks Rates of Pay - 1970. 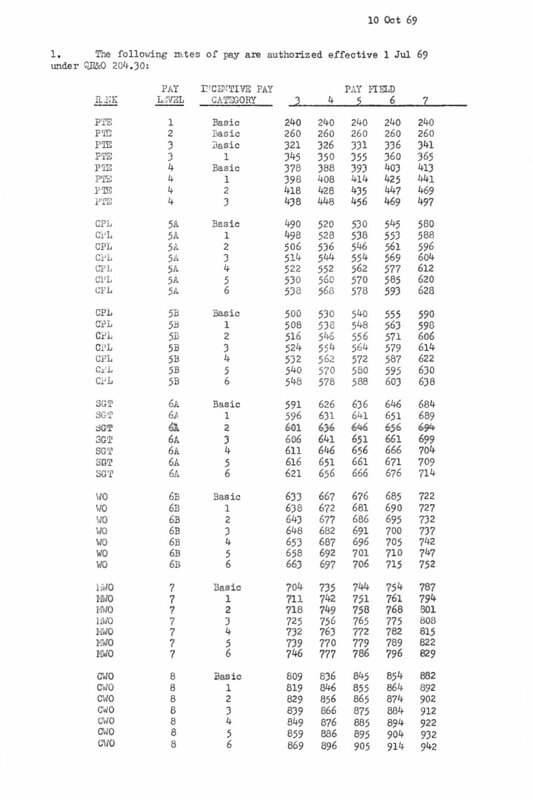 Enlisted Ranks Rates of Pay - 1969. 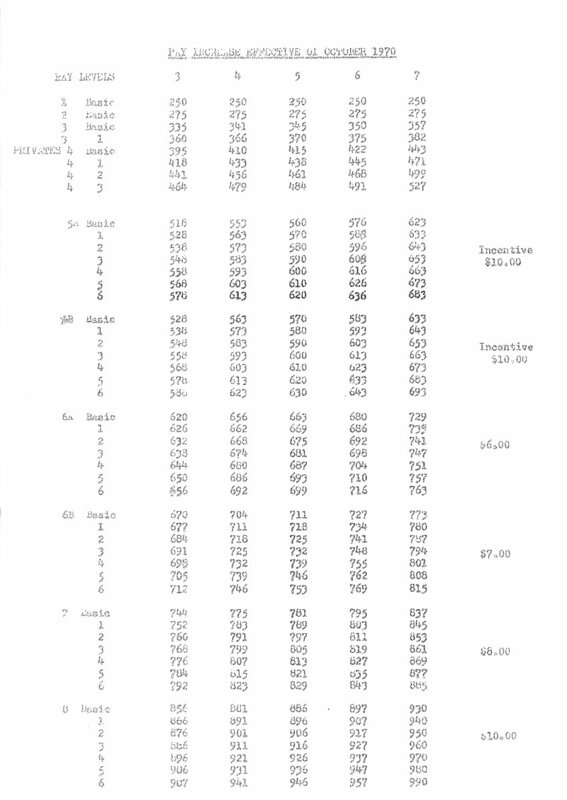 Enlisted Ranks Rates of Pay - 1967. 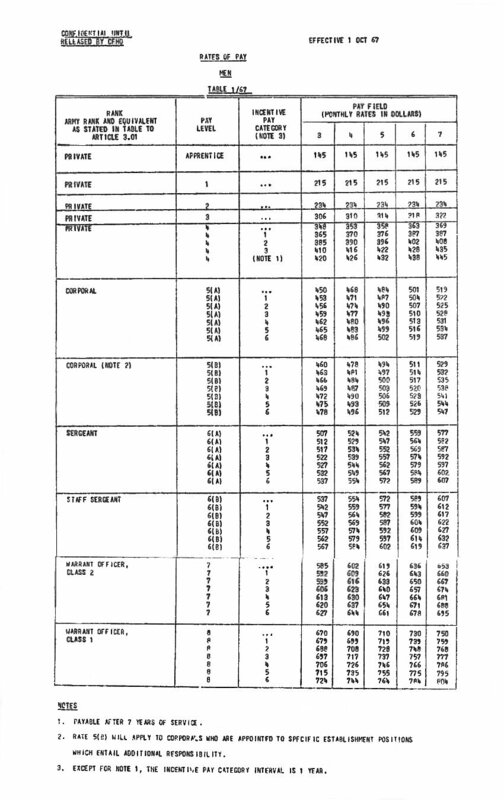 Enlisted Ranks Rates of Pay - 1966. Armed Forces Get Pay Hike - 1 October 1966. 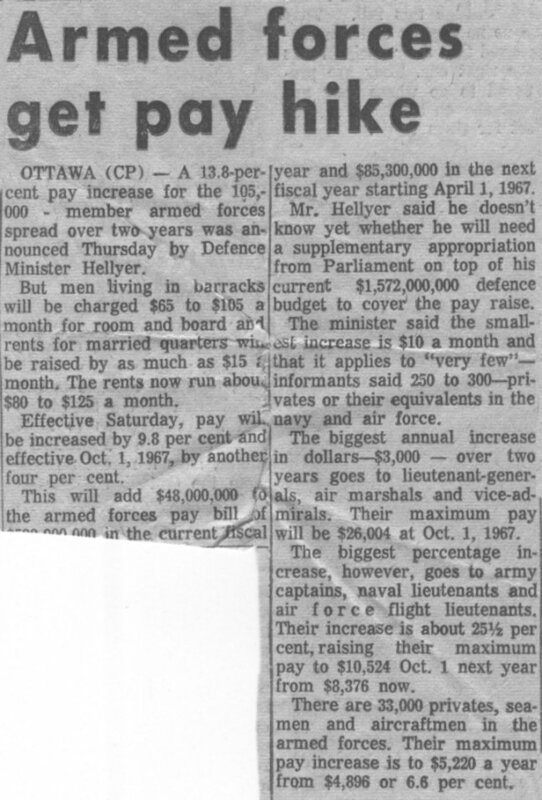 RCAF Rates of Pay - 1956.